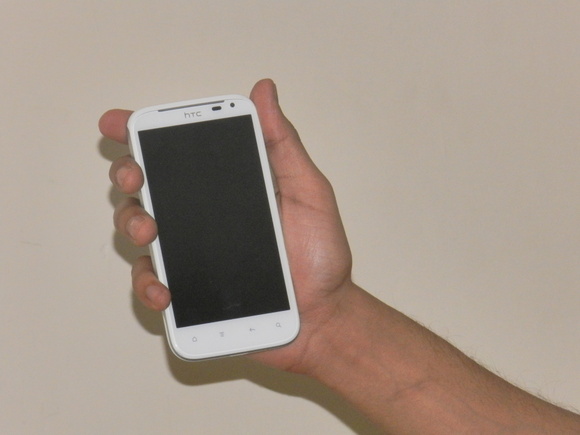 HTC has slowly but steadily created its niche in the in the dynamic Indian smartphone market. It has done so by giving us quality phones which provide us with a sense of satisfaction, personalization and style. It wouldn’t be wrong to say that one phone that has single-handedly cemented HTC’s position in the Indian smartphone market is the HTC Sensation. So, naturally, we were quite excited to review the third generation Sensation handset – the HTC Sensation XL, an ace in the departments of music and size. Right off the rack, the first thing that will make you notice the HTC Sensation XL is its size- well; a humungous 4.7-inches display size puts it second only to the Samsung Galaxy Note. Both of these handsets have charmed us like anything. 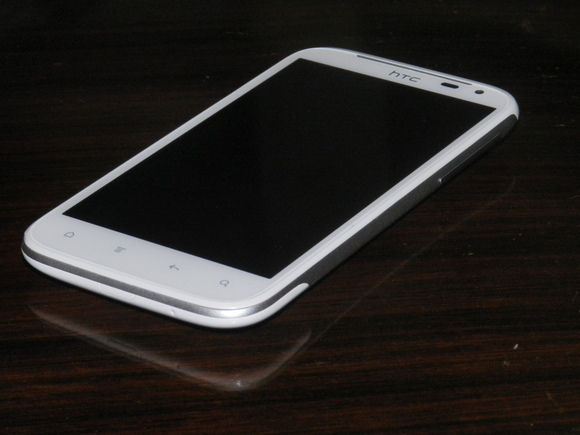 The next thing that is worth noticing is how similar it looks to HTC’s global Windows handset – the Titan. 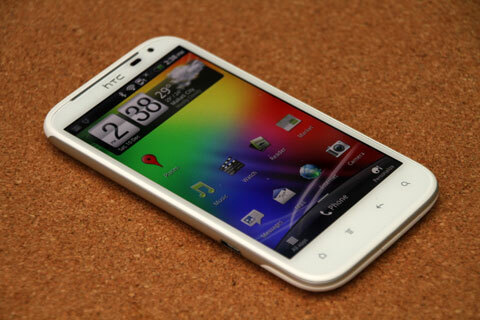 Some people even say that the HTC Sensation XL is an Android version of the Titan. But, we have a different take on that. In our opinion, the Sensation XL draws not upon the Titan, but rather upon the original Sensation handset. It is kind of a big brother to the Sensation. All said and done, HTC has put in some tweaks to the handset besides the screen size. They have pumped up the processor to 1.5 GHz and the RAM is 768 MB. The handset currently runs the Android Gingerbread (beautifully), but is entitled to receive an ICS update soon. The handset also has a powerful 8-megapixel snapper and 1600 mAh battery, but the star undoubtedly is its Beats headphones which were pretty exciting to use too. But, we aren’t spilling the beans so soon. 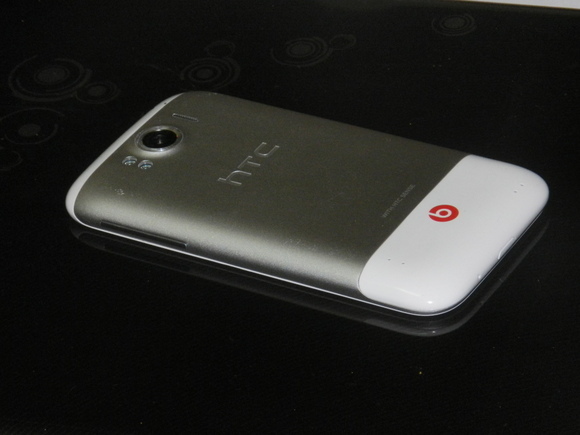 Here, catch our full outlook on the HTC Sensation XL. As soon as you open the package, voila! The Sensation XL’s sheer size is bound to take you by surprise. 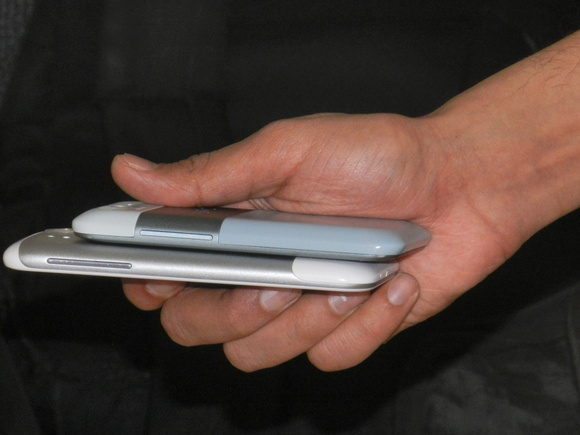 The 4.7-inch screen, 132 x 70.7 x 9.9mm dimensions make the handset appear a tad too big at the first look. But, pretty soon, you can move past the initial surprise. The handset is quite, for the lack of a better word, handy. 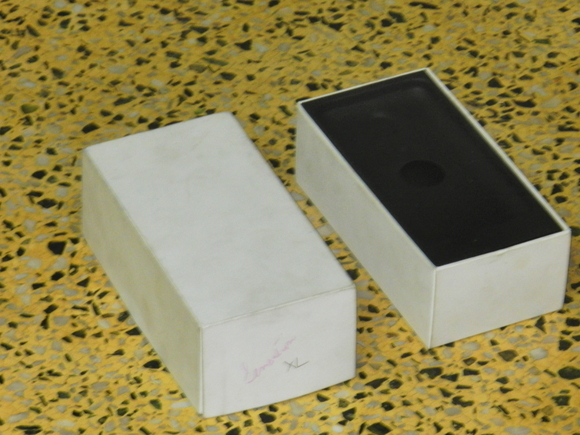 The form factor, unlike the Sensation which has more of an Aluminum feel to it is a mix of plastic and metal. 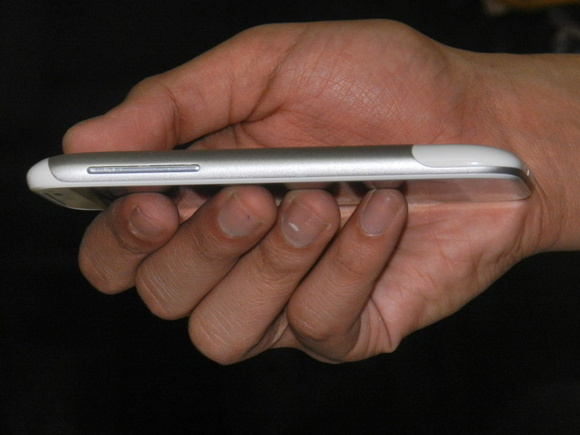 Although big and slightly thick (9.9mm), the handset is quite easy to hold because of its curved edges. When it comes to the look and feel, the screen ultimately takes precedence over everything else. It is an S-LCD with WVGA display, which means its not Super AMOLED or qHD, which are considered superior. But the display density -199 pi and the viewing angles more than make up for what is lacking in the screen. Add to that, Sense 3.5 is also attributed to making the 400 x 800p screen work out great with a contrast of 1000:1, which is more than impressive. But, we hate to say it, that the reflective display completely gives up in daylight. There are just two buttons on the Sensation XL – the volume rocker and the power button. We did miss the usual camera button when it came to this handset. Still, regardless of that, the handset is pretty smooth and actually a treat to hold. 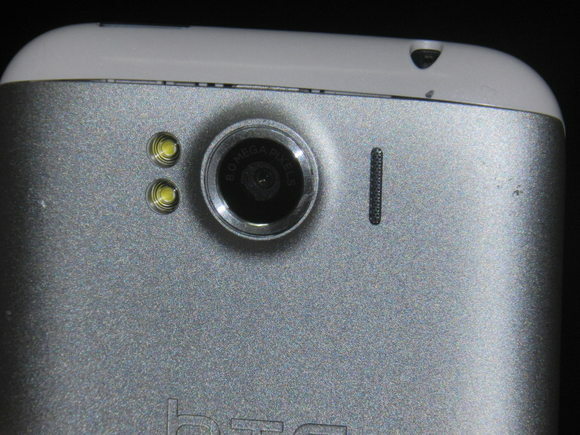 The camera at the back and the 3.5mm jack along with the MicroUSB slot all look good. The normal HTC home, options, back and search buttons are located at the bottom and are touch-sensitive. There are actually 7 home screens which you can browse with blazing fast speeds as the processor works like a charm. These include the weather, friend stream, music etc. home screens. The screens are pretty informative and smooth to operate. The Sense UI was pretty smooth and works like a charm with Android Gingerbread, which makes full use of the processor. Press the menu icon and the usual Android icon list pops up. It has the usual row x column Android icon listing. Altogether, it is easy to operate. The only sad part is the lack of a MicroSD slot. 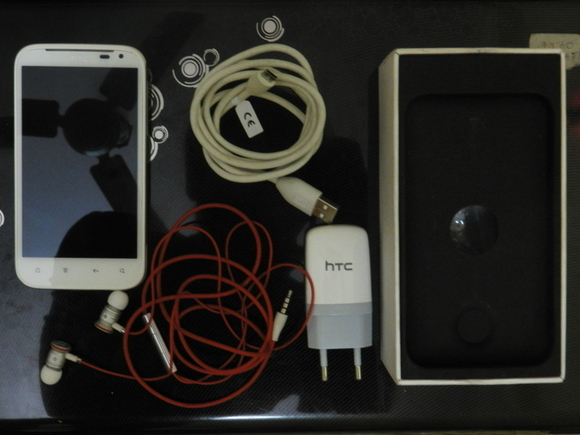 Besides Apps such as Friend stream and Play store, there is HTC likes and HTC sync on-board. One thing we particularly have a rant about is the HTC Sync. Since the handset has no MicroSD slot, we need to depend upon the internal memory for anything and everything. In fact, we found it hard to sync through the HTC Sync and finally had to depend upon Double Twist to get our music to the handset which is despite HTC’s promise that we can sync our iTunes library to our HTC handsets. HTC has put in a reader too and a separate app for Facebook chats. We really love the fact that that HTC has put the Dropbox app on board, so that you aren’t restricted by the internal memory. Tango is a pretty good app for video calls and chats while Evernote is pretty good for taking notes. You can actually use the apps provided rather than downloading others to make your Android fully functional. We were pretty much delighted when it came to the connectivity. The Sensation XL boasts of 14.4 MBPS HSDPA, Wi-Fi and Bluetooth. There are two ways to surf the net – via the internet browser or the Google search icon. Both were pretty easy. The file transfer rates were beyond impressive and even the download speed was exciting. The Sensation XL aces the connectivity department like anything. 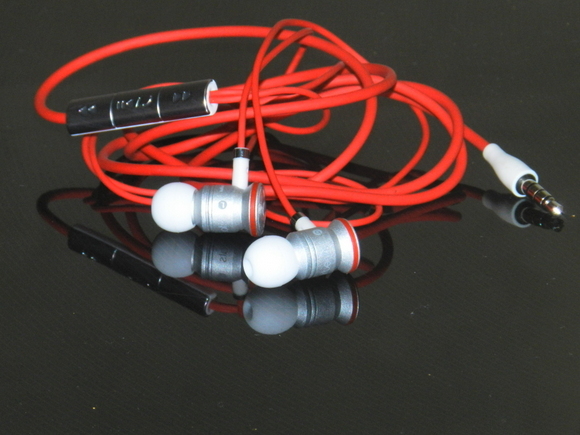 Here’s our favorite part about the Sensation XL – its Beats headphones. 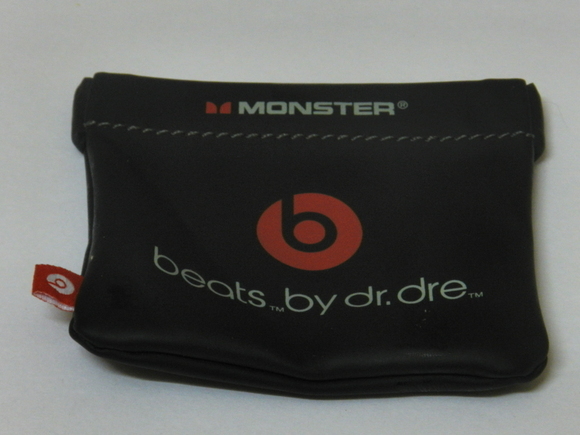 The Beats headphones by Dr. Dre are actually a pretty pricy accessory, if you were to buy it without the handset. Music is the life of the Sensation Xl, and the Beats headphones do justice to the handset. Although we didn’t get our hands on the over-the ear headphones that are mostly up in ads of the Sensation XL, the in-ear ones we got were pretty satisfactory. The 8-megapixel camera at the back and 1.3-megapixel are pretty good. The new camera interface with Sense UI is classy. While the HDR and Panorama moods are worth a dekko. The resolution is good, the BSI sensor works fine and the camera response time is pretty impressive. Just one thing, on continue clicking, we found some of the images a bit noise. On the whole, for a good photographer, the camera is a treat. One thing we just can’t get over is the lack of a MicroSD slot, which we acutely missed. The battery life is good right now, but the real test will come once the handset upgrades to Ice Cream Sandwich OS. Funny thing, we didn’t get the original Sensation XL box from HTC, but instead got a petit rectangular box which includes the headphone, the USB charger, the USB Cord, the Beats headphones and a smart bag for the headphones. 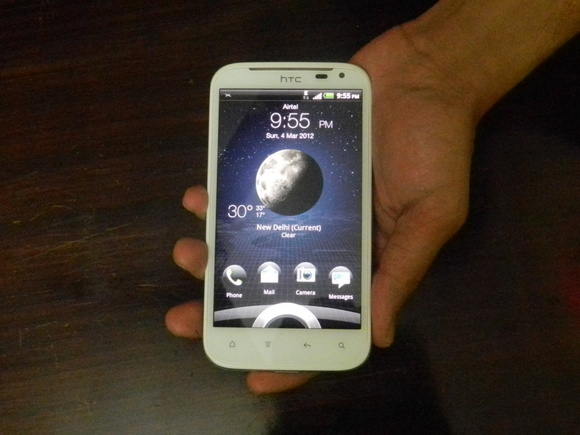 You can get yourself a HTC Sensation XL at around Rs. 35,000. The Sensation XL, it seems has one thing in mind – to give the Galaxy Note a run for its money. Over all, it does that in style but the handset would have charmed us more had they put in a MicroSD slot and an affordable price tag. If style is what you desire, the handset is pretty good. HTC needs to work upon the pricing if they are serious about selling this handset.